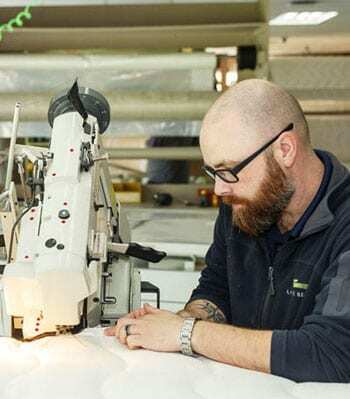 For over 40 years, Sleep Boutique has been designing and building custom mattresses for customers with a broad variety of sleep requirements. Whether it’s differing sleep needs of couples in the same bed, a need for extra-large or irregular sized mattresses, or physical pain issues with backs and shoulders, we have a solution. With a vast array of construction and material options, we assess, design and build your best bedding solution at a quality level that far surpasses standard-production mattresses on the market. At Sleep Boutique, you choose what goes into your mattress. You can see and feel the ingredients and see your mattress being built on site.